One of my acquaintances through the Travel Hacking world has struck deal with Agoda to provide folks with a 10% off coupon in celebration of the launch of his new blog, 23 Hour Layover. Nicky asked me to send this out to my users so I am sharing this with you in the hopes that you can make use of the code. As Agoda is trying to promote their mobile experience, the code only works for bookings made on mobile. Simply download the Agoda app from the App Store or Google Play and then click the link. 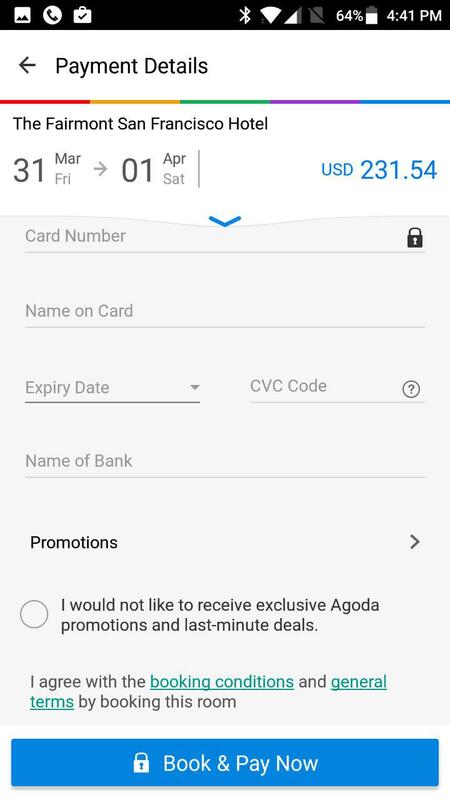 You will be redirected to the Agoda app where you will be presented with confirmation of the discount. 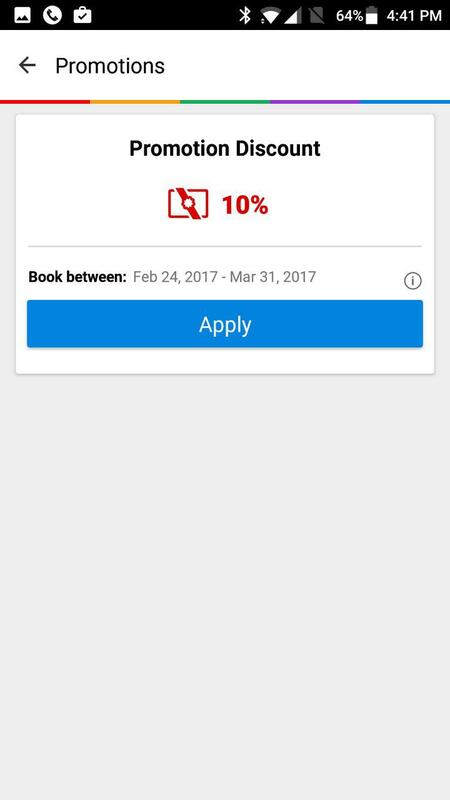 To use the discount, simply search for your hotel with dates and location. 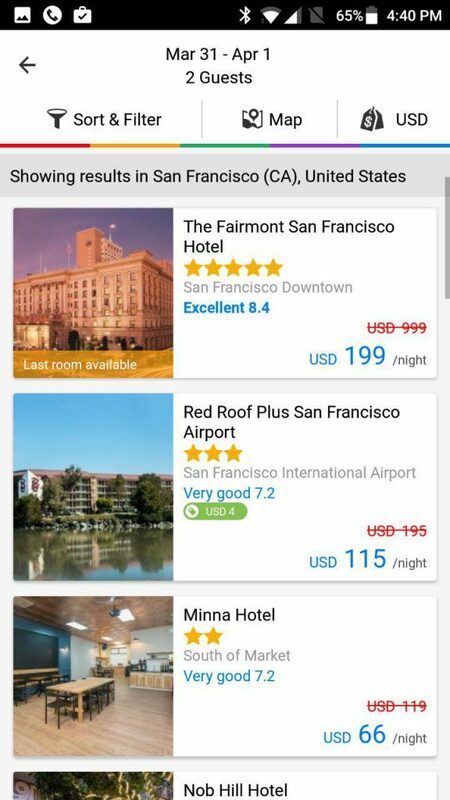 As an example, I searched for San Francisco hotels from March 31 to April 1, 2017. Taking a look at the Fairmont Hotel, we can see the price is $199 (before taxes). With taxes, we are up at $231.54. To apply the coupon, simply scroll down to the bottom of the payment page and look for the Promotions sections. Click on the Promotion arrow and you will be taken to the 10% discount code. Click Apply and your new price will show up on the payment page. As you can see, the coupon code dropped the price of the room by about $20/night (USD). How Does Agoda Compare to the Hotel’s Price? In my experience, the prices are the same as what you find on other OTAs (Online Travel Agency) sites and hotel websites. I was curious what Fairmont was charging and the price was the same in terms of base price ($199/night). Though you can see the final price is calculated differently … not sure what that is but the difference is marginal. I can tell you that I have successfully used Agoda extensively for my travel bookings in Asia and have never had an issue with them. Coupled with the 10% discount, I can certainly recommend using them. One caveat – many hotel chains will not recognize bookings with OTAs (including Agoda) as part of your qualification for status. You may also have troubles getting your status benefits (like free breakfast, lounge access, late checkout, etc.) if you book with an OTA so be sure to double-check your hotel’s policies. From a pure money-saving perspective, I can wholeheartedly recommend using Agoda and this discount code. 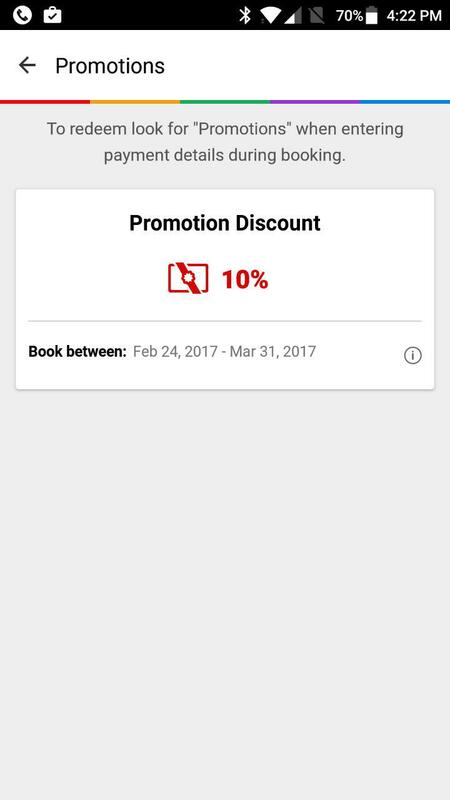 This coupon is only good for bookings up until March 31, 2018, so get your bookings in ASAP. It looks like all you have to do is book before March 31st but your stay can be anytime. 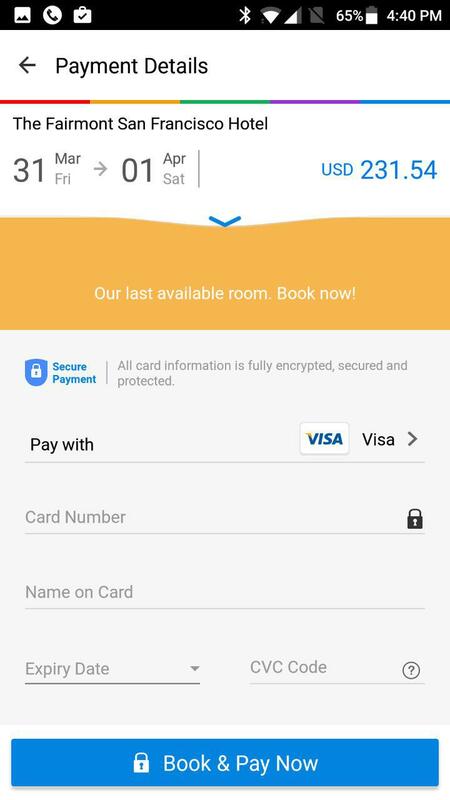 The promotion code entitles you to the discount on hotel room charges (excluding local taxes and service fees) and can only be redeemed for bookings made via the Agoda app. Certain hotels may be excluded from this promotion. In case of dispute, the decision of Agoda shall be final. The promotion code is non-transferable, non-cumulative and cannot be used in conjunction with any other discount promotions, discounted items, and fixed price items (unless specified). The promotion code cannot be redeemed or exchanged for cash, credit or other products. These offers are bound by the terms and conditions of Agoda. Agoda Company reserves the right to change terms without notice.